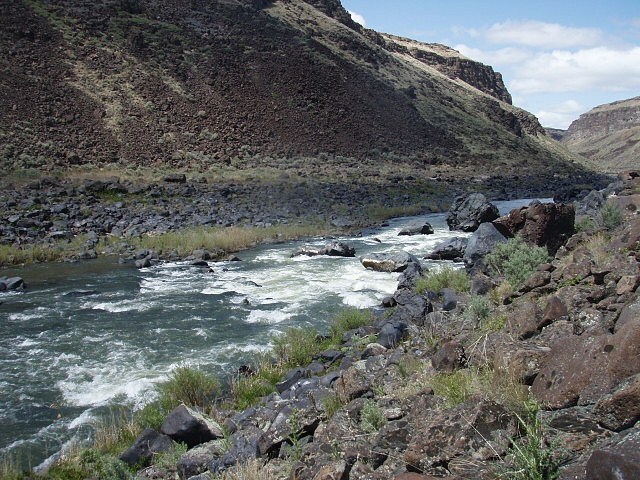 It is hard to believe, but the Owyhee River peaked at 2710 cfs (at 1:45 pm) on april fools day for the 2012 seasonal run-off. So, those of us who hoped for higher flows to boat the river in late April and early May, were fooled into a false expectation. Low snow packs and warm weather happening much earlier than normal created the unusual happen-stance. Is this related to global climate change? In my mind it is highly suspect. The number of climatologist and scientist that support the anthropomorphic causes to weather pattern alterations is too vast to ignore. Since I am an evidence sort of guy, I tend to side with those things that can be measured by mathematical means rather than mere faith. Fortunate are we who have the science gained from those wise folks before us. It was not that long ago that many people believed a person might fall off the edge of the earth if one adventured too far, or that the sun came up and went down every day. But we now know our globe is not flat, and revolves to make it appear the sun is doing all the moving. We now even measure flows of rivers and can appreciate recognizing levels, high and low, when running them with rafts or dorys can be good or bad. How coincidental or cosmically poetic it has been that the Owyhee found its zenith of run-off on April Fools day. Mother nature can play the game with the best of man’s tricks and contrivances. 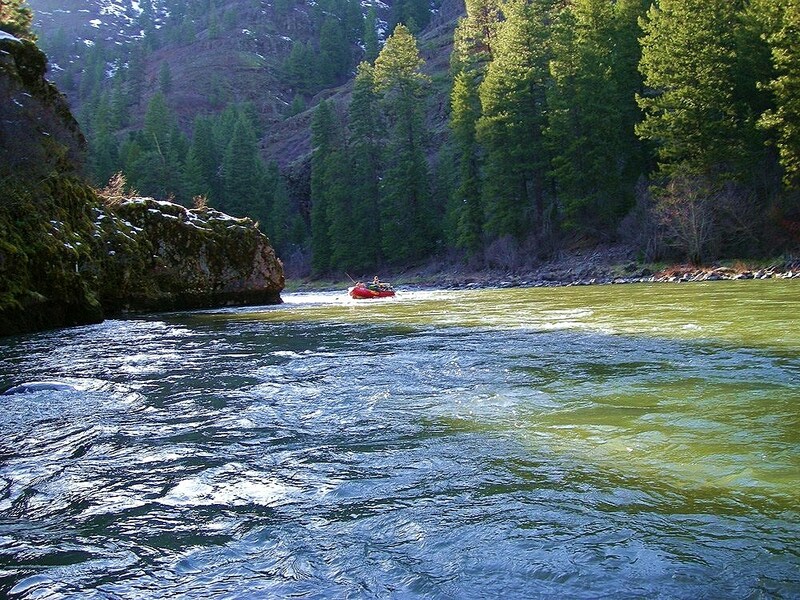 So, now that the Owyhee is boating history fo this year, I can now get back to anticipating and planning trips on the river I grew up on – Oregon’s Grande Ronde. While the Owyhee flows in the SE corner of Oregon. The GR flows through the NE section of the state. Unlike the desert of the Owyhee canyonlands, the Grande Ronde permeates the forested flanks of the high Wallowa’s. The saw-toothed granite peaks of te Eagle Cap Wilderness and Elkhorn Mountians are the headwater sources of the this great cold water salmon and steelhead stream.